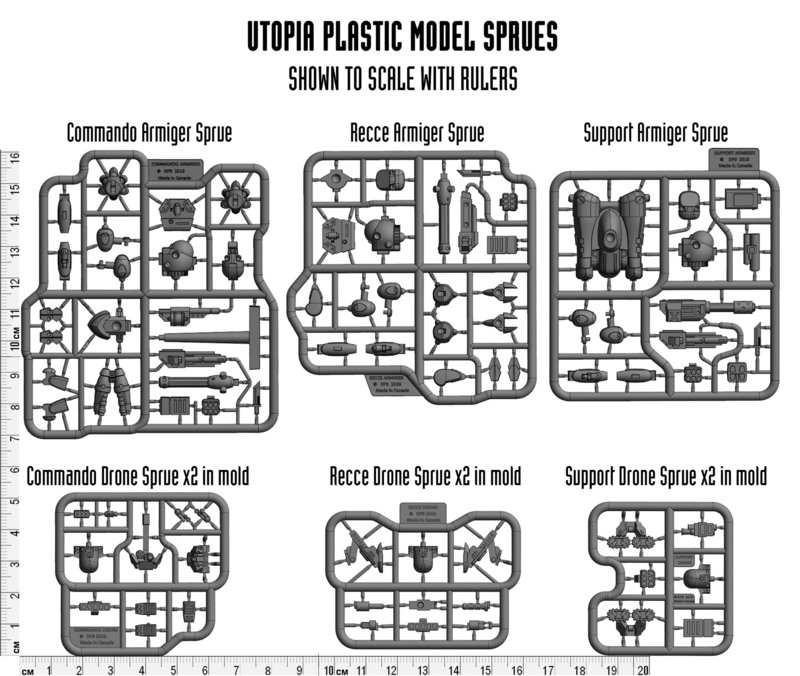 Dream Pod 9: Kickstarter Update: Utopia Plastic Model Sprues Preview Shown To Scale! 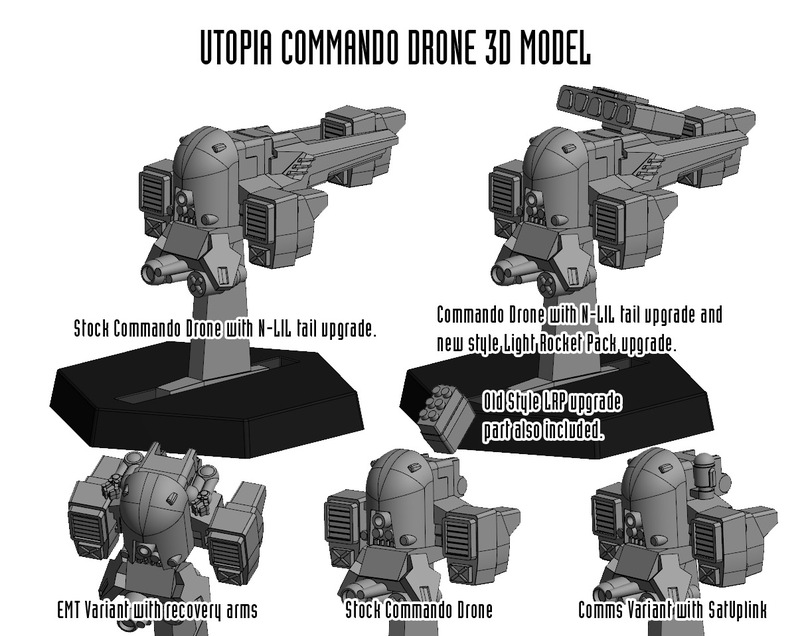 Checkout the full update on our Kickstarter page which includes a link to downloadable 3d PDF of the Commando Drone model (image below) parts sprue which you can zoom in on, rotate, and see all the details up close. Here is the link to the Kickstarter update page. We have sent off all the 3d files (Utopia, Peace River, and NuCoal) to mold manufactures in China to get final quotes for the best price and then we'll get the mold production started later this month. We expect the molds to be finished before the end of the year and shipped to the plastics manufacturer we have selected he in Canada to get all the plastic sprues popped in early 2019. Home › Blogs › Robert Dubois's blog › Kickstarter Update: Utopia Plastic Model Sprues Preview Shown To Scale!